5 YRS Shanghai Echo Machinery Co., Ltd.
1. 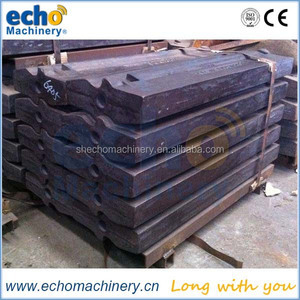 Q: What kinds of products do you offer9 A: Echo Machinery provided parts are mainly related to your plant machine. If the order is for standard parts, you only have to provide us with the part number so we may define the parts of the order. If the problem is caused by clients,we only provide the technical suggestions to our client to avoid same problems. 8 YRS Kunshan Duoling Heavy Machinery Technology Co., Ltd.
1 YRS Shanghai Michigan Mechanical Co., Ltd.
We have more than 200 workers, 30 senior technical staff, with factory area of more than 20,000 square meters. Should any problems occur, our team of Engineers and Technicians will respond within12 hours of notice by the client. 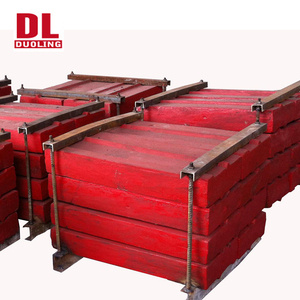 Q:Delivery time A:Standard delivery time for stationary crusher plant is 30 days from receipt of deposit. Under vigilance of our proficient engineers, these liners are manufactured using multi elements alloy material. Rongmao is dedicated to providing high quality products at reduced overall installation and maintenance costs. 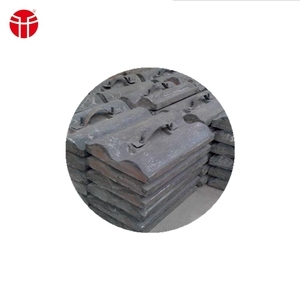 Rongmao Shell Liners are cast in materials ranging from ordinary chrome-moly steels to multi kinds of alloy metals . 2 YRS Permanscess Equipment Co., Ltd.
7 YRS Maanshan Boda Jing Shen Machinery Co., Ltd.
4 YRS Luoyang Zhili New Materials Co., Ltd.
1 YRS Shanghai Vostosun Industrial Co., Ltd.
1 YRS Shanghai Grey Goose Machinery Co., Ltd.
1 YRS Maanshan Boda Jing Shen Machinery Co., Ltd.
8 YRS Shanghai Shanlu Machinery Co., Ltd.
6 YRS Hunan Hyster Material Technology Co., Ltd.
Also, we could produce according to your drawings and specifications. 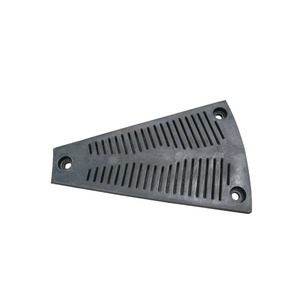 They can be bent, cut and formed to suit different surfaces. 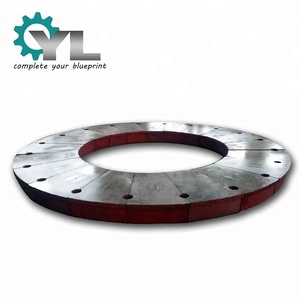 &gt;Mechanical property: 1) Hardness: 63HRC/700BHN 2) Shearing strength: 250Mpa Min. 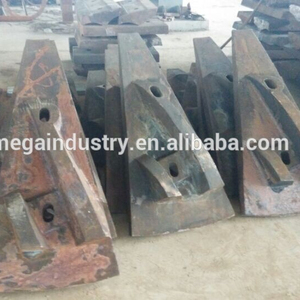 10 YRS Maanshan Huadong Wear-Resisting Alloy Co., Ltd.
2 YRS Xuzhou Gengjin Trade Co., Ltd.
14 YRS Zhejiang Ma-Yang Industries Co., Ltd.
Crusher spare parts are the wear-resistant spare parts and frame of cone crusher, impact crusher,jaw crushers and so on. 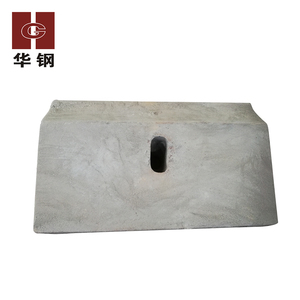 The wear and replacement of the crusher spare parts has bad effect on the crushing plant and reduce the working efficiency. &bull; Products are tested before shipment to ensure products 100% qualied, test reports support. 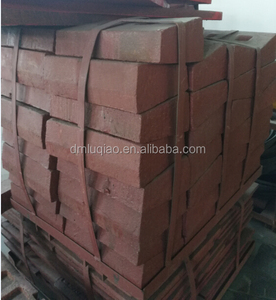 4 YRS Changsha Vibo Wearable Material Co., Ltd.
5 YRS Shanghai Xiazhou Industry Machinery Co., Ltd.
4 YRS Shanghai Xiazhou Industry Machinery Co., Ltd.
) -Refractory Material (refractory brick/ball, castable material,bubble alumina, cenosphere , silicon carbide, etc. ) -Foundry Material (ceramsite, silica sand, lost foam/ V-Process casting coating, EPS foam mending paste , etc. ) 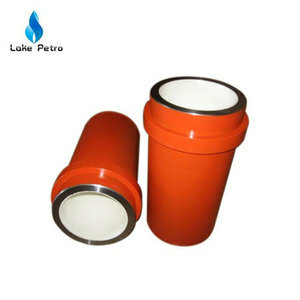 -Filter Material (silica sand, ceramsite, ceramic sand, walnut shell , garnet, PAC, etc. Alibaba.com offers 2,278 high chrome liner products. About 1% of these are geomembranes. A wide variety of high chrome liner options are available to you, such as fda, ce / eu, and lfgb. You can also choose from free samples. There are 2,278 high chrome liner suppliers, mainly located in Asia. The top supplying country is China (Mainland), which supply 100% of high chrome liner respectively. High chrome liner products are most popular in Northern Europe, South America, and Southeast Asia. You can ensure product safety by selecting from certified suppliers, including 888 with ISO9001, 156 with ISO14001, and 154 with Other certification.